The Alfred University women's basketball team hosts Empire 8 opponent Elmira College at 5:30 pm while the men square off at 7:30 pm in the Terry S. Galanis Family Arena. The AU women's basketball team hosts Empire 8 opponent Elmira College at 5:30 pm while the men square off at 7:30 pm in the Terry S. Galanis Family Arena. 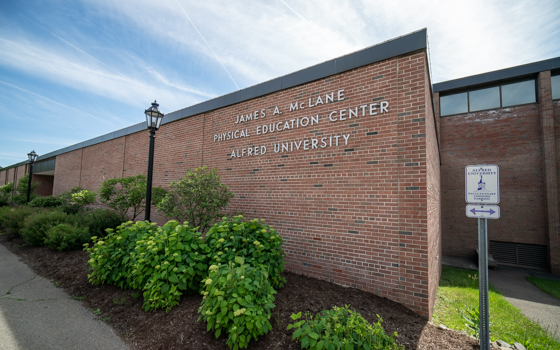 Opened in the fall of 1971, the James A. McLane Physical Education Center is home to the AU men's and women's basketball teams, the men's and women's swimming and diving teams and the women's volleyball team.